It’s easy to make assumptions about what other people might like based on what you know about them. However, if you always follow your gut when it comes to gift giving you’ll miss out on ways to win easy points. When you’re unique and you surprise your partner with something new, you get noticed. After that...it’s up to you. But, in order to get anywhere, you have to get noticed first. The same holds true with texting. If you always send the same blah, blah, blah you will never stand out from the crowd. I realized the extent of my feasting as I felt a new uncomfortable pressure around my waist as I slipped into my favorite jeans. It was time to fight back. I decided to sample all the various classes at the gym. One class was given by an uber-ripped instructor who had something even more impressive than his hard-earned physique – his amazing enthusiasm for helping people get in shape. As my girlish figure slowly returned, I decided to do what I do best: bake. One day, I took a few of my creations to the gym as a gift for this instructor. It was an unlikely treat for someone who was probably living off massive amounts of protein powder and egg whites. However, I decided to go for it. End result? He loved them. Moral of the story: be unique, and be bold. 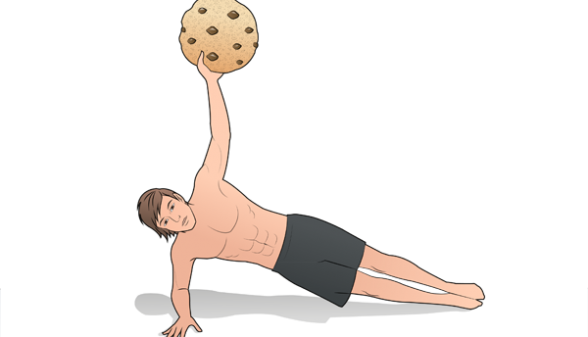 Don’t believe that just because someone has 5% body fat that they won’t enjoy some cookies. Guess what? The same applies to texting. You can give your partner the same type of treat using your cell phone. 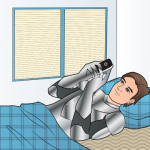 Take chances with your texting. It should be fun. You never know what your partner secretly craves to receive from you…and if you don’t try, you’ll never find out. Don’t assume that super-ripped guys don’t like cookies and that exotic dancers don’t like teddy bears. Never be a predictable texter. Don’t be afraid to stray from safe, standard texts that will get you minimal returns. Be unique, and make every text a treat! Funny flirty texts can open the floodgates of passion and unlock a whole new playground of creativity between you and your partner.  Check out TEXT WEAPON – French Seduction Made Easy if you want to learn how to expertly turn your partner on and keep them turned on.